I have three first cousins. Two of them have sons who graduated from high school on Saturday, one in western Washington and one in eastern Washington. (My parents grew up in the Seattle area, so all my extended family is up there). 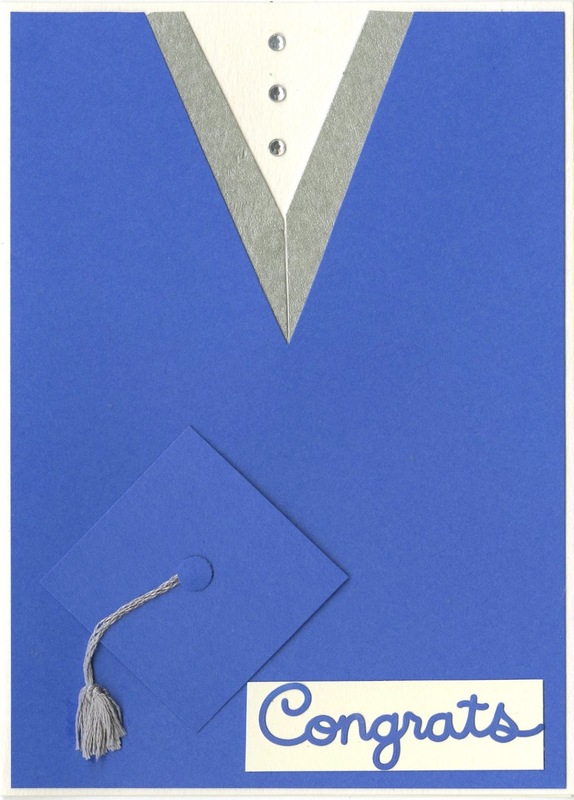 I made each my go-to graduation card in his school colors. Since the artist whose work inspired my card does not have a tutorial, I'll tell you how I made mine. Trim cardstock A just smaller than the card base. Draw a deep triangle along the top center and cut it out. Cut thin strips of the cardstock B and miter the edges to form a V. Glue the V to the opening in the main color, then trim the excess flush with the top. Glue this completed piece to the card base. Cut a rectangle from the base color and add a sentiment sticker or stamp. Glue this to the bottom right of the card. Cut a 1.5" square from cardstock A to make the cap. Use the scraps to punch four holes. Glue three of the holes to one side of the square. (This will provide a tiny bit of dimension.) Glue the cap to the card with the three punched holes touching the card. Make the tassel by taking an approximately 6" length of embroidery floss and folding it back and forth six times. Use a second piece, approximately 2" long, to tie a tight knot around the folded bundle. Holding onto one of the ends of the floss used to tie the knot, push all other floss down. Snip the ends off evenly, then fluff the tassel. Glue the tassel to the center of the cap, then glue the final punched hole on top. Glue the fringed part of the tassel in place. 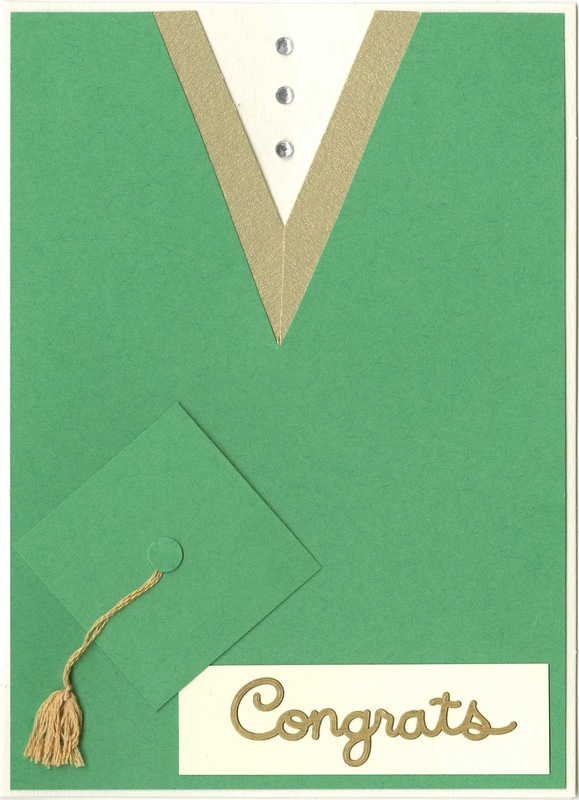 Add three rhinestones to the shirt area of the card. These are amazing! I loveeeeeee them!!!!!!!!!!!!!!!!!!! Cindy, those cards are really cute! Super job! I hope you have a great week!